When I first became interested in snowflakes (nearly 20 years ago now), I was struck by how few books there were on the subject. There was Wilson Bentley's classic 1931 reference, and Ukichiro Nakaya's excellent 1954 text, but little else. 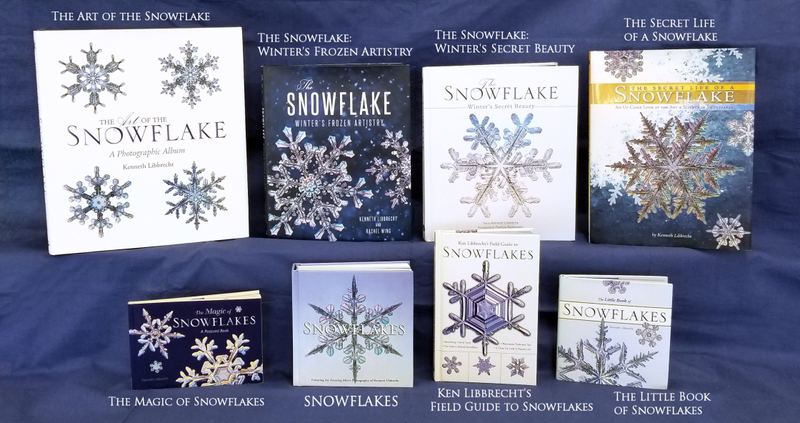 So I wrote a book all about snowflakes (The Snowflake: Winter's Secret Beauty), collaborating with Patricia Rasmussen on the photographs. And then I wrote another using my own photos, and then six more after that, the most recent coauthored with Rachel Wing. 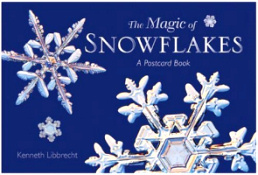 And yes, as a matter of fact, a snowflake book does make a perfect gift! In a nutshell, Rachel (my wife) and I tell the story of the snowflake in this new book. We include some science, history, anecdotes, and lots of photographs. We explain what snowflakes are and why they look like they do. We describe the different types of snowflakes, laboratory-grown snowflakes, photographing snowflakes, and how you can make your own snowflake "fossils" using superglue. We are really pleased with this book; and we hope you enjoy it also! Click on the book to see it on Amazon. Thanks! This is a delightful children's book about snowflakes, but grown-ups like it too! 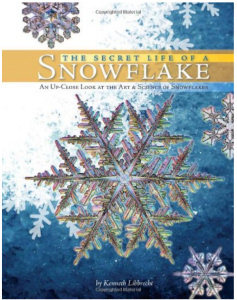 It's a quick read, with lots of pictures and illustrations, describing the basic science of snowflakes. It even shows you the correct way to cut a six-sided snowflake out of paper! Click on the book to see it on Amazon. 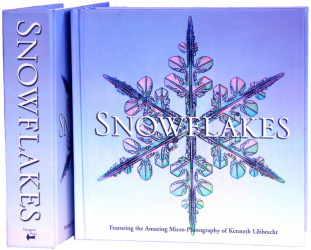 This is a large-format "coffee table" book of snowflake photographs, filled with gorgeous photos of all kinds of snowflakes, with brief descriptions and anecdotes along the way. This book is all about capturing the beauty of these amazing crystals. 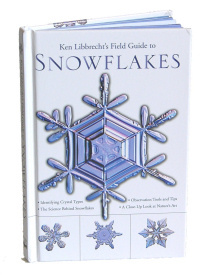 A smaller book, the Field Guide describes all the different types of snowflakes and snow crystals you are likely to find falling from the clouds. 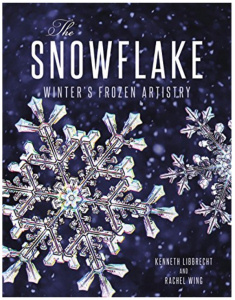 Read this book and you will be a snowflake expert. With just a simple magnifier and a quiet winter snowfall, you too can see for yourself the amazing variety of snowflake forms! 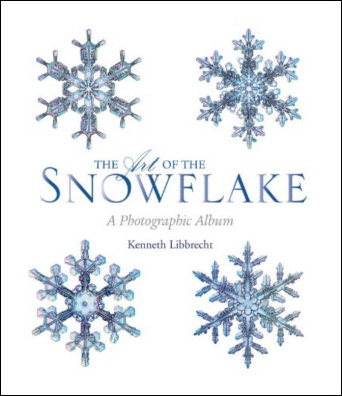 This "chunky" book (6.4 inches square, 512 pages) showcases a great many photos of snowflakes, together with short descriptions, anecdotes, and quite a few quotations about snow and winter. Basically it a fun gift book for just about anyone. 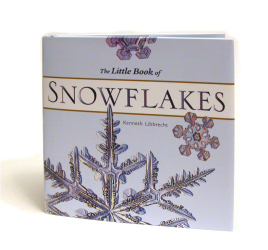 A petite gift book, with snowflake photos and thoughtful quotations, The Little Book makes a great stocking stuffer! 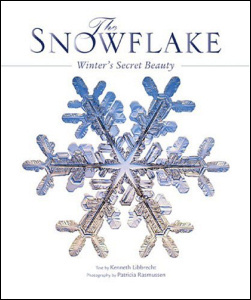 Out of print now, this was the first popular-science book focusing on snowflakes.